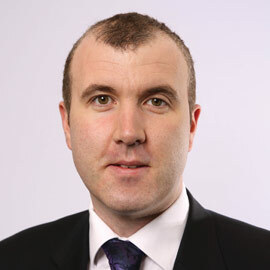 Thomas Ryan is Environment Executive at the Irish Farmers’ Association. A graduate of UCD, DIT and the Irish Management Institute, he has degrees in Agricultural Science and Property Studies, and diplomas in Business Management and Corporate Governance. He previously worked with Kerry Group plc and currently represents IFA on two recycling organisations IFFPG and Farm Plastic Recycling Ltd. He is an associate member of the Society of Chartered Surveyors of Ireland and a member of the Agricultural Science Association and Irish Environmental Law Association. He is also the Programme Manager of the resource efficiency initiative, Smart Farming.